Michigan is in the middle of a severe cold front with sub-zero temperatures forecasted for the next few days. As a result, Governor Gretchen Whitmer has declared a state of emergency. Dale George is with the Michigan State Police, Emergency Management and Homeland Security division. He says the emergency declaration will let the state provide resources to cities and towns dealing with the cold. “They can continue the response. There’s some funding mechanisms, the state can start to supply some manpower and trucks and machines. Whatever they need for their response depending on what kind of issues they’re dealing with,” he says. 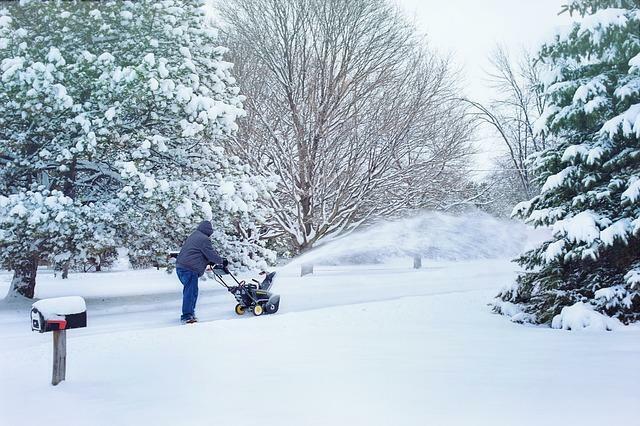 Governor Whitmer says declaring a state of emergency will also remind people how dangerous the weather conditions are. Whitmer declared the emergency Monday night and filed the paperwork with the Secretary of State’s office Tuesday morning. “This is an event unlike any we’ve seen in a generation. And I think it’s really important that we protect people,” she says. Schools are closed across the state, with temperatures predicted to fall as low as negative 50 degrees in some areas. Polar vortex 2019 has arrived. Here's how to survive a Michigan snowstorm. Winter has come for the Lower Peninsula. Schools were closed across the state Monday, as was pretty much everything else. With heavy snowfall and record-breaking low temperatures in the forecast throughout the week, here's what you need to know to stay warm and safe. Once again, it is ridiculously cold in Michigan. Here are five things you need to know. Another year, another frigid January in Michigan. Once again, temperatures are set to reach extreme lows over the next week. Scientists predict this extreme winter weather could be the new normal for the Midwest, thanks to climate change. Some of us still need some clarification on how climate change is making winter worse, so we're republishing this story from the last time it reached these low temperatures in January 2018.